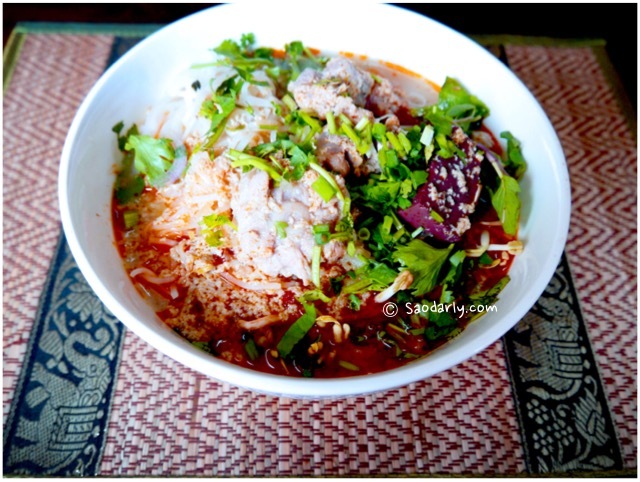 Having a big bowl of Rice Sticks Curry Soup (Mee Kati; ຫມີ່ກະທິ) from Khua Din Market (Talat Khuadin; ຕະຫຼາດຂົວດິນ) for breakfast in Vientiane, Laos. I’m no much of a pork eater and prefer to have a tofu or chicken in my Mee Kati. 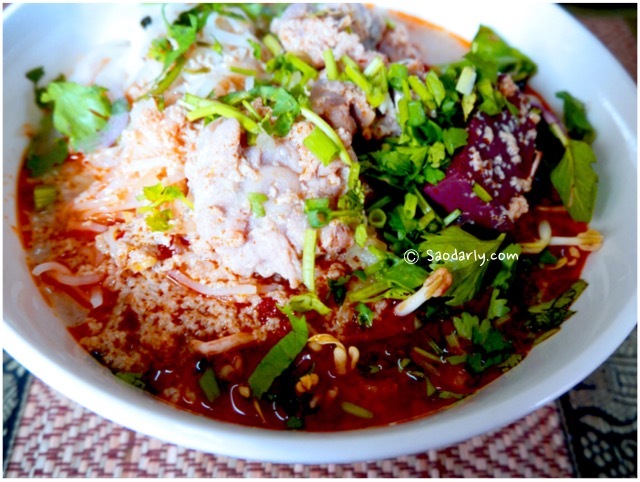 When I go to Laos, the Mee Kati that is made by my relative, at a restaurant, or the local market is a classic version with pork, coconut milk, red curry paste, and plenty of pork blood cubes in the curry soup.